Subaru Service and Repair in Holly, MI | Armstead Automotive - Armstead Automotive Repair and Service Inc. If you have a Subaru, you may have been wondering where to get auto repair in Holly. Never fear; the trained auto mechanics at Armstead Automotive Repair in Holly, who also serve the communities of Fenton, Flint, and Grand Blanc, have got you covered! 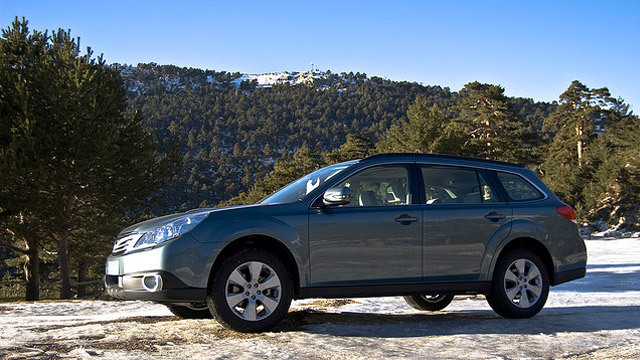 No matter what kind of auto repair your Subaru may require, we can get you safely back on the road. Subaru owners are a loyal bunch who adore their cars. At Armstead Automotive Repair, we are committed to helping you keep that Subaru on the road as long as possible, and that starts with routine auto repair and maintenance with an adroit member of our skilled auto mechanic team. You can see the difference right away when you bring your Subaru to Armstead Automotive Repair. Whether you need a major transmission overhaul, routine auto repair maintenance, or just an oil change, Armstead Automotive Repair has the requisite experience to make sure that you and your family stay safe on the roads of Holly, or anywhere else you may need to go. We’re a family-owned business, first and foremost, and we stand by our work. If we work on your car, we’ll take full responsibility for each and every auto repair. We know about anything that’s coming back before you do. Nothing matters more to us than earning and keeping the loyalty and unwavering trust of our customers! You can trust us, too. Just give us a call any time, or use our online appointment form to schedule a reservation. We are located at 15310 Fish Lake Road in Holly, and our hours are from 8:00 AM - 5:30 PM, Monday - Friday.